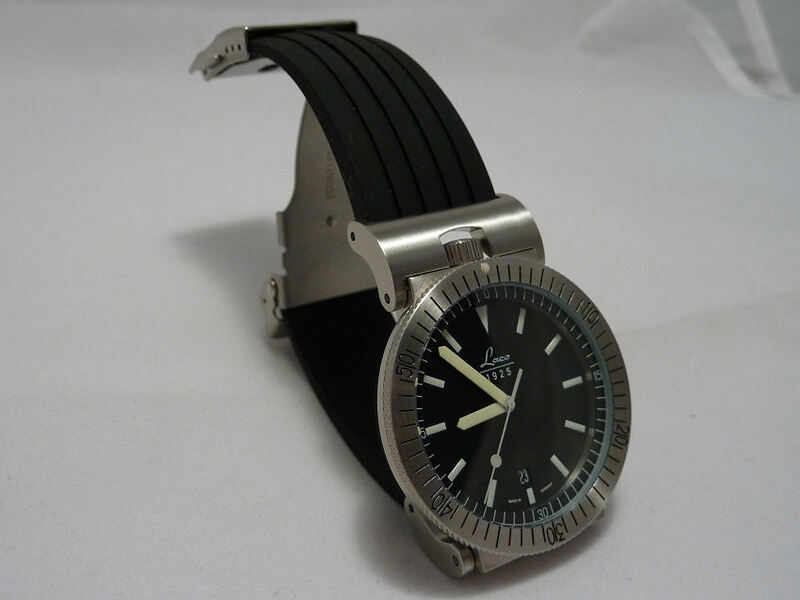 Known as the Laco “Squad” watch, this is the smaller quartz version which I much prefer to the larger more common one. 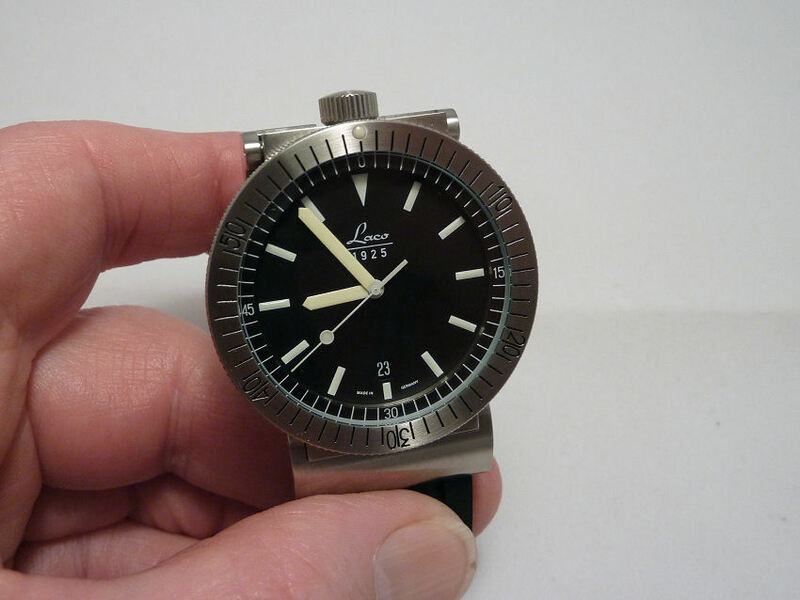 At 40mm diameter as opposed to 46mm and just over 9mm depth compared to 13mm, makes for a much neater watch and one that I definitely prefer. The heavy “articulated” lugs are quite striking and the top one shrouds and protects the large crown very well, which as you see is unusually at the 12 o’clock position. The Swiss movement is the Quartz ETA F06.111, the case is a well made and very solid brushed stainless steel with a slightly oversize anti-clockwise unidirectional bezel. An excellent AR coated crystal makes the dial clarity something special as the matt black is in high contrast to the highly luminous hour markers and Superluminova C3 hands. There is also a minute track around perimeter coupled with the very clear center second hand with the luminous dot showing it’s position clearly. Simple date window @6 completes the layout. 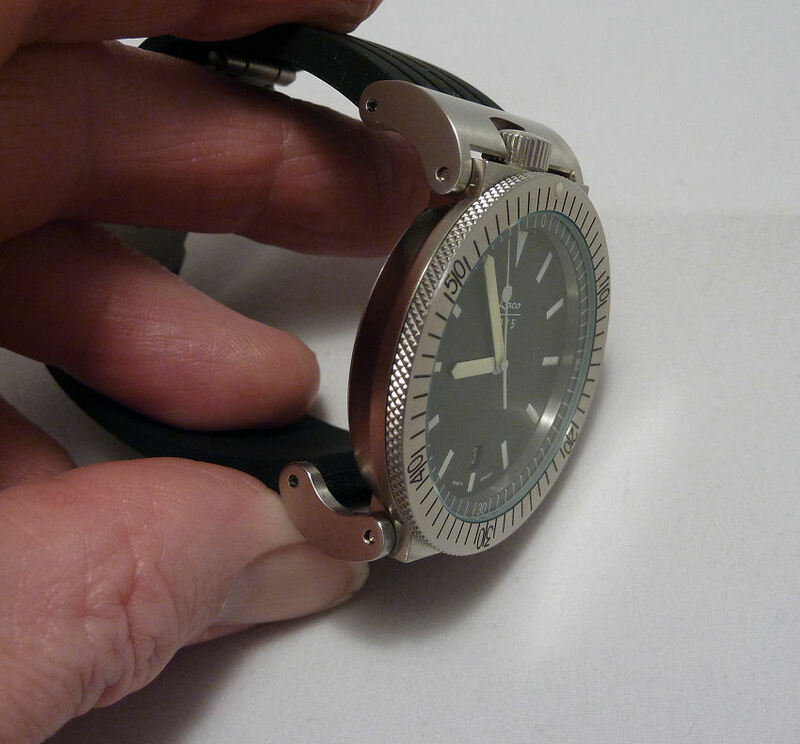 Water resistance is pretty good at 200 metres, assisted by the Screw Down crown. 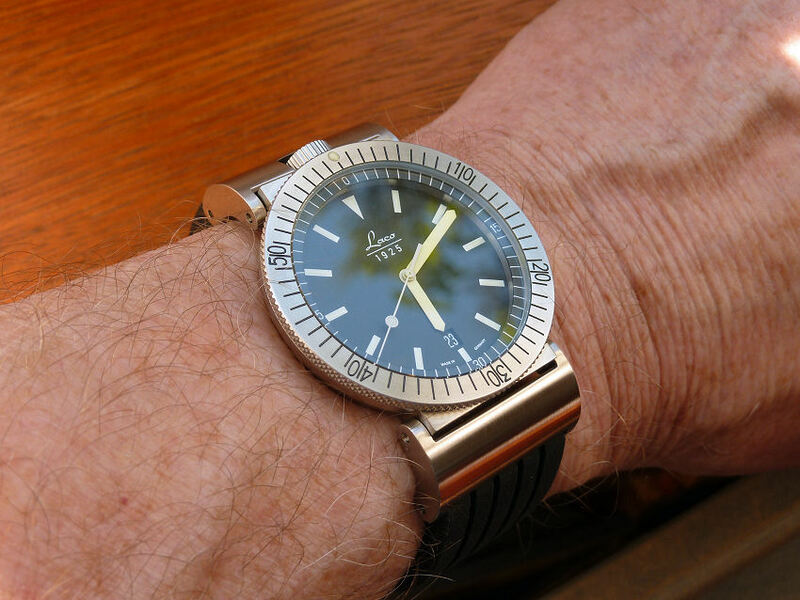 A luminous dot on the bezel is another typical divers touch. The supplied strap however, for me just doesn’t suit being one of those wavy knobbly divers affairs that may be OK on top of a neoprene suit, but it simply does not fit snug to my wrist – so I ditched it and teamed it up with a nice Silicon deployment strap that properly holds these articulated lugs in the correct position for the wrist. It really makes for a very neat watch in wearing. Says it all really. . . . .